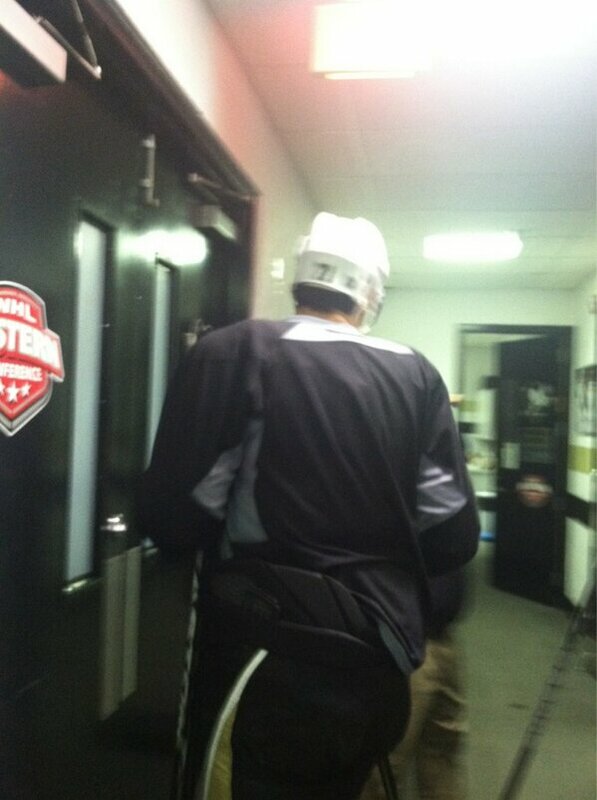 Digitalgypsy66 wrote: Malkin skated for 30 minutes today...per Pens Twitter!!!!! What they didn't mention was he forgot about 27 minutes of it. He thought he was in Russia playing vodka in a boot. He also thought the Florida game was tonight. I heard he didn't know who Rossi was and asked him what he was doing in the locker room. So this thread just became official? It's pretty clear that Crosby paid Gudbranson to take Malkin out because he's tired of not being the last guy out on the ice. Three years superleague and all that. Malkin skating is great news! That is great news about Geno. I’ll bet he’s champing at the bit to get back to work. The hard part, I think, will be reining him in and getting him to accept the fact that he has to follow protocol and can’t just jump back into games because he feels ready. He may be long on talent, but I have the sense that he isn’t long on patience. netwolf wrote: It's pretty clear that Crosby paid Gudbranson to take Malkin out because he's tired of not being the last guy out on the ice. Three years superleague and all that. I never thought about this before now. But when Malkin is out, does he go out last, or is it second to last that counts now even when Malkin isn't there? "Neal, can you say some weird stuff in russian and walk behind me?" I was expecting him to skate backwards into the net and hit his head on the ice. like seeing evgeni smiling! it's a good thing. skullman80 wrote: I know Errey and Steiggy were saying how the league should look at stuff like that and think about assessing a penalty etc, but I thought that was a good clean hockey play. Sometimes crap just happens. Yeah, I'm glad you mentioned this. I heard them bloviating about this during Sunday's game and thought it was ridiculous. They deserve most if not all the "loathsome homer" comments they get from other fanbases. It's embarrassing. There still not as bad as most of the broadcasting pairs in the league like the two that calls the games for Detroit or Jack Edwards of the Bruins (I don't mind Andy Brickley). Plus I don't they there embarassing just because they made one comment about Geno getting hit. Then again I don't despise Steigy like most do on here. Maybe that's because I don't my announcers being a homer (remember this is the HOME broadcast so the broascast should be slanted) and not boring. How do we know that's really Geno in that clip? This paragraph makes me twitch. Wait, did he loft that puck into the bag from center ice? That's pretty sick. So what are the next steps, as long as there are no set backs. Skate longer and longer. Then non contact workouts, full contact workouts, then a real game? Gene practicing at Southpointe now! Oh well, but There are announcers out there that are just as bad or worse than Steigy. According to the Pens twitter feed, Bylsma reported that Malkin was cleared for contact today but still needs to pass the impact test.